I have a life long love of the water and swimming. 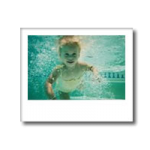 As a child I took swimming lessons and swam on a competitive swimming team for many years. Boating provided activities and entertainment most summer weekends with my family. I loved to water ski and snorkel. As a teen I learned to sail my own pram sailboat. In high school after becoming certified thru the Red Cross lifeguard program, I worked as a lifeguard at Caladesi Island State Park. In my twenties I took a job teaching swimming lessons through the YMCA while I attended college courses. After working various jobs and dissatisfied with my career options, I gave school another chance and pursued a computer related technical certificate. While I was completing computer courses I found another part time job teaching swimming with a local private swim school and loved it. Once I completed my computer course work, I began working in computer technical support which I quickly realized was not the proper career choice for me. After enduring a year or so, I went back to my aunt and uncle’s retail chain for another post. During this time, I began teaching swimming lessons every evening after work and on Saturdays as a part-time job, hobby, and a bit of exercise. Soon I found that I had more demand for lessons than I had time and that teaching swimming was tremendously more rewarding to me. So I took the plunge (literally and figuratively) and started my own business. In the spring of 2001, I officially began Making Waves. Hello my name is Krystal and I love swimming with Making Waves because it's challenging and rewarding all at once. Getting to know my little friends and help them understand I'm there to help and they can trust me is the first step. Then I get to teach and play and watch the progress they make and it's so amazing to know I helped someone and that I taught them the tools they need to be a safe and fun swimmer.